Zug, Switzerland, October 9, 2018 – Today Energy Web Foundation (EWF) announced the release of a new white paper, The Energy Web Chain: Accelerating the Energy Transition with an Open-source, Decentralized Blockchain Platform. The paper offers unprecedented insight into the first open-source blockchain designed specifically for the energy sector. It is available for free download at https://energyweb.org/papers/the-energy-web-chain/. 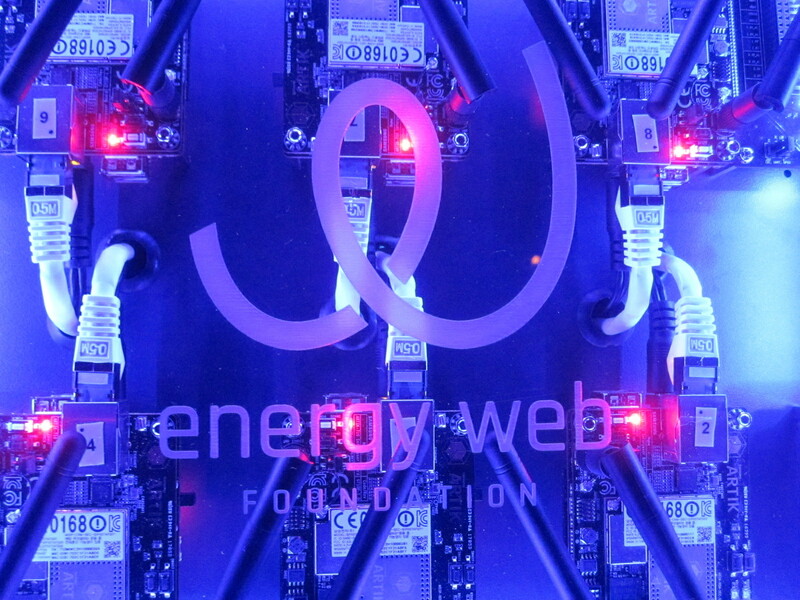 The Energy Web Chain includes a detailed look at: a) EWF’s vision for blockchain in the energy sector, b) design principles behind the core technology, c) frameworks under development, d) on- and off-chain governance, e) core technology highlights, including the consensus mechanism, f) the chain’s token-secured operating model, and g) EWF’s roadmap for ongoing and future technology development. –PoA Consensus Mechanism: EWF’s Energy Web Chain uses a particular version of Proof-of-Authority consensus that offers speed, lean energy consumption, and a degree of validator node oversight that should be appealing to energy-sector regulators. –Governance by Gas: Compared to blockchains such as Bitcoin, which put governance “power” into the hands of anonymous block miners, EWF’s blockchain empowers application developers through “governance by gas,” in which developers’ voting power is weighted by the gas throughput of their applications on the Energy Web Chain. –Private Transactions: In order to allow confidential electricity market information on the Energy Web Chain, EWF and its technology partners have developed a novel approach for “private transactions” that shield sensitive information from public eyes while retaining the auditability and verifiability of blockchain-based transactions. –Parachains: To meet scalability and throughput needs for energy-sector applications of blockchain technology, EWF will be exploring parachains (i.e., parallel blockchains) in concert with relay chains and bridge chains as a way to both foster blockchain interoperability and achieve theoretically infinite scaling. Although EWF has been developing the Energy Web Chain tailored specifically to the energy sector, many of the blockchain’s pioneering features should have promising applicability for blockchains across many other sectors. EWF is planning the Energy Web Chain’s genesis block around the Q2–Q3 2019 timeframe. Subsequent planned white papers between now and then will go into greater detail on various aspects of the technology. As an energy tech developer I’m looking for where my company fits in. We have new concept alternative energy based on thermal conversion of solids, liquids and gasses. Solids can be any size from sawdust and wood shavings to large round or square cornered bales and can contain any combinations of municipal wastes, plastics, agricultural by products or dedicated fuel crops. This is a scalable technology suited to the developed or developing world. Contact us at LBlevins@aaecorp.com for more information.